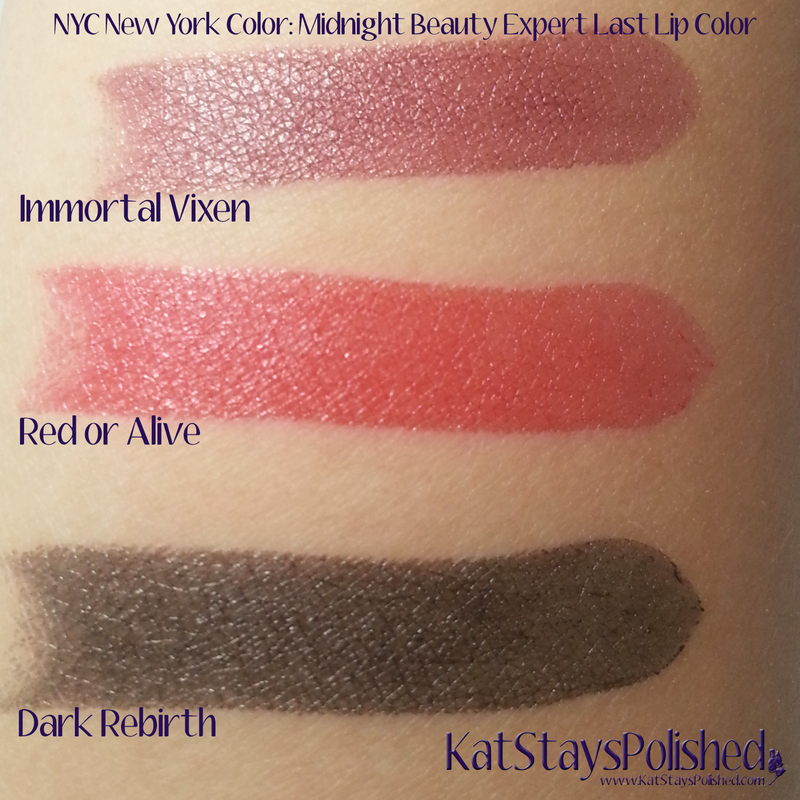 The first thing I have for you are the special Expert Last Lip Color lipsticks. Sometimes I am very skeptical of dark colored lipsticks because they color payoff isn't always there. Well, you be the judge with the swatches below. The only one that might take a few layers is the Dark Rebirth black color. 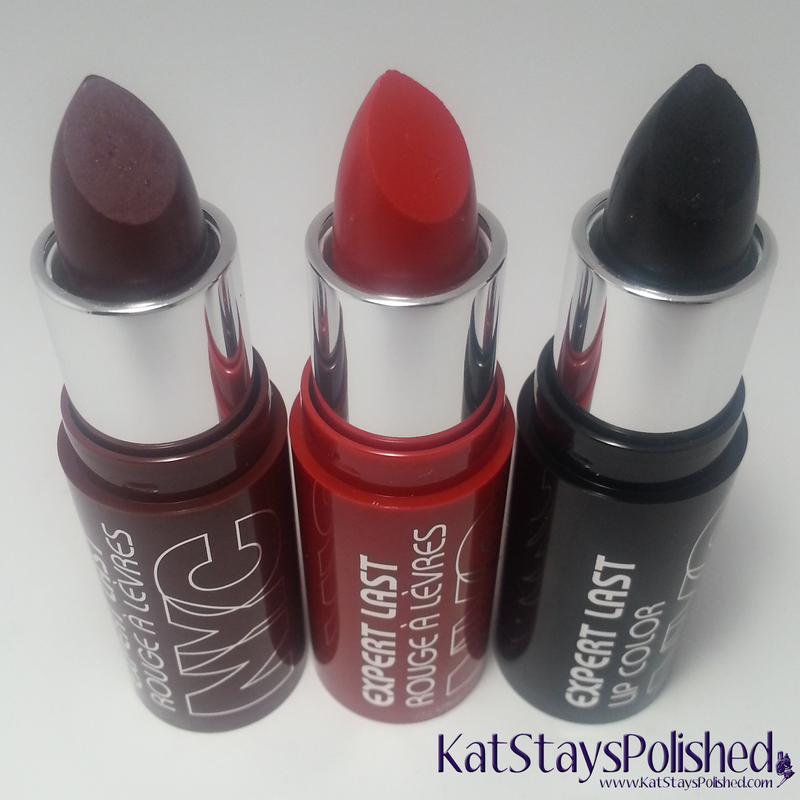 The other two are perfect for any vampy look or Fall in general. It goes on so smooth and takes a little bit of effort to remove once it's been on for a while. At $1.99, you can't beat it if you need something quick for Halloween. For an eye look during Halloween, it's good to have something to line those eyes...especially if you're going for a dark look. 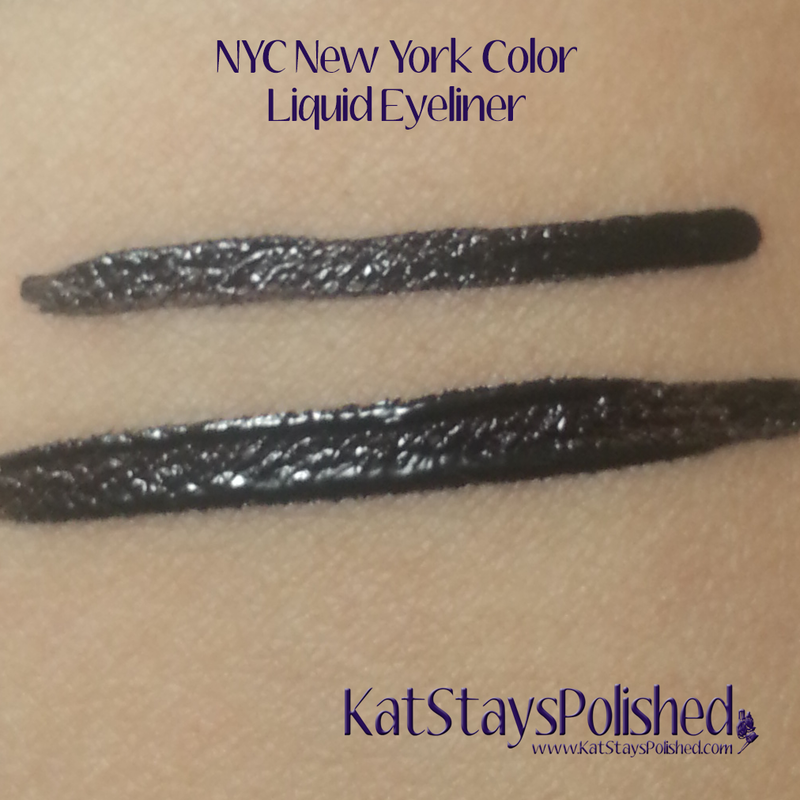 If you have a steady hand, this liner is easy-peasy. It is in a brush form which can be a little difficult sometimes but practice on your hand or arm first. 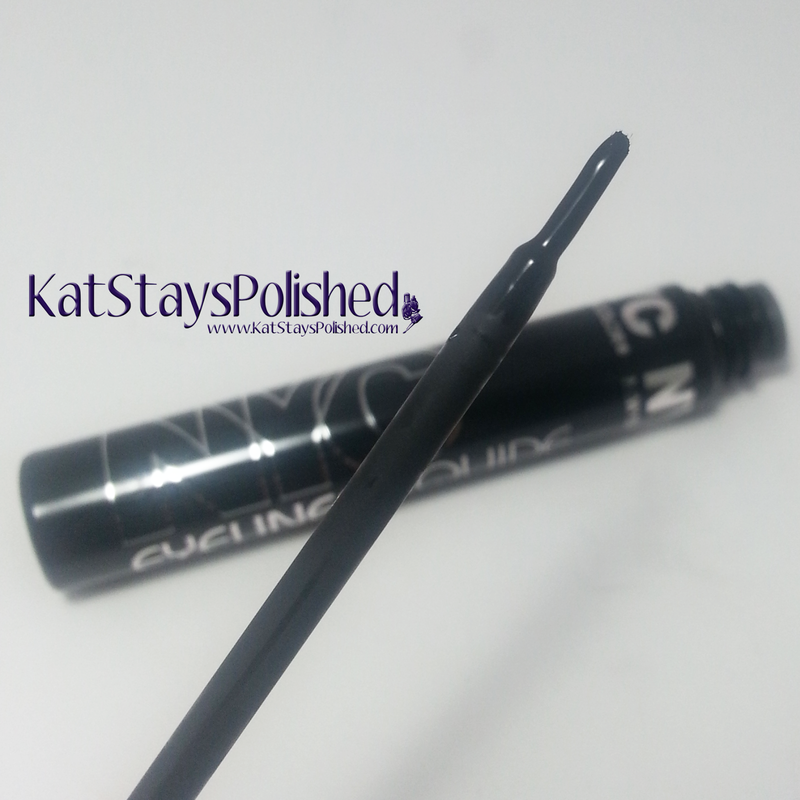 This liner glides on smooth so if you need to go back and make adjustments, you can do so and it won't mess up what you've already done. 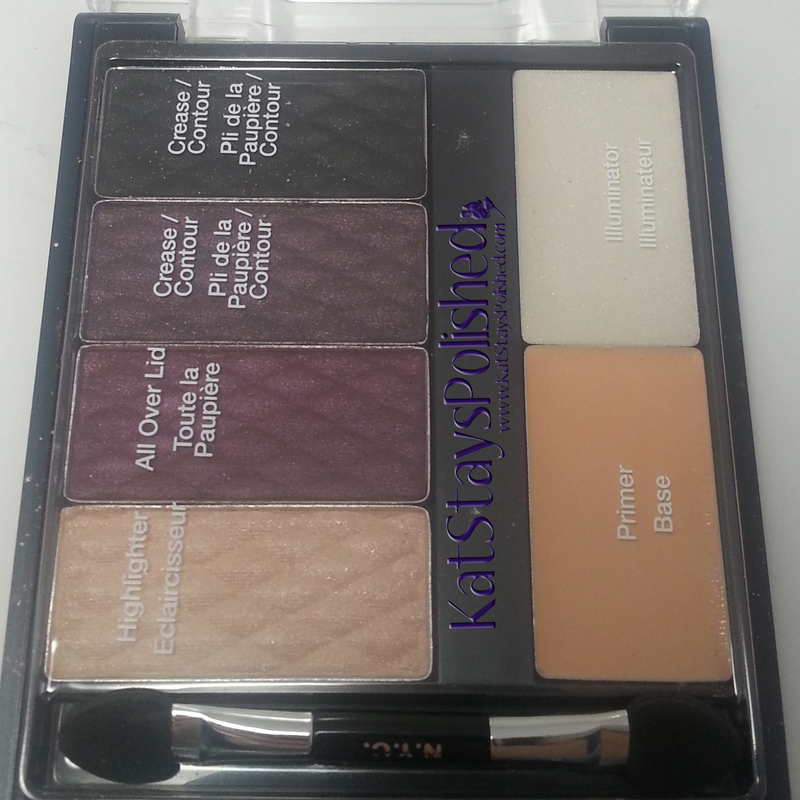 How about a shadow palette that's got everything you need for the eyes including a primer? 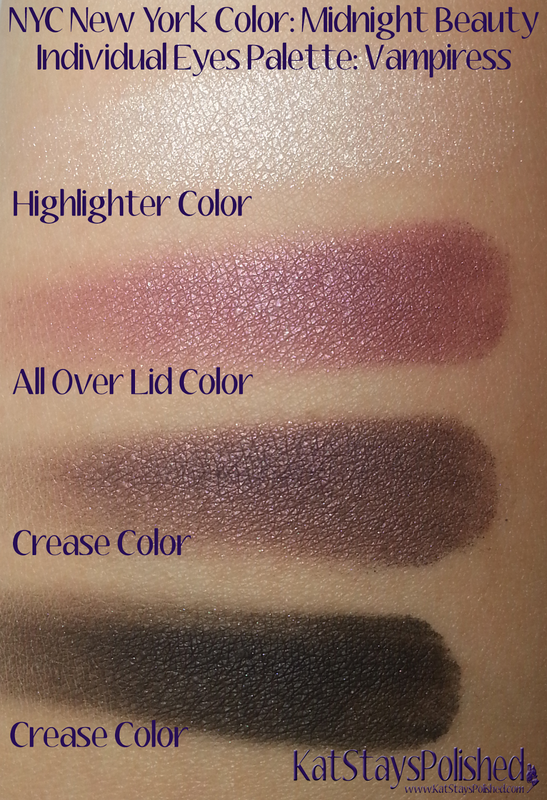 Yup, this eye shadow palette is called Vampiress. Everything you need to create a dark, smokey look for Halloween is right here in this nice compact. 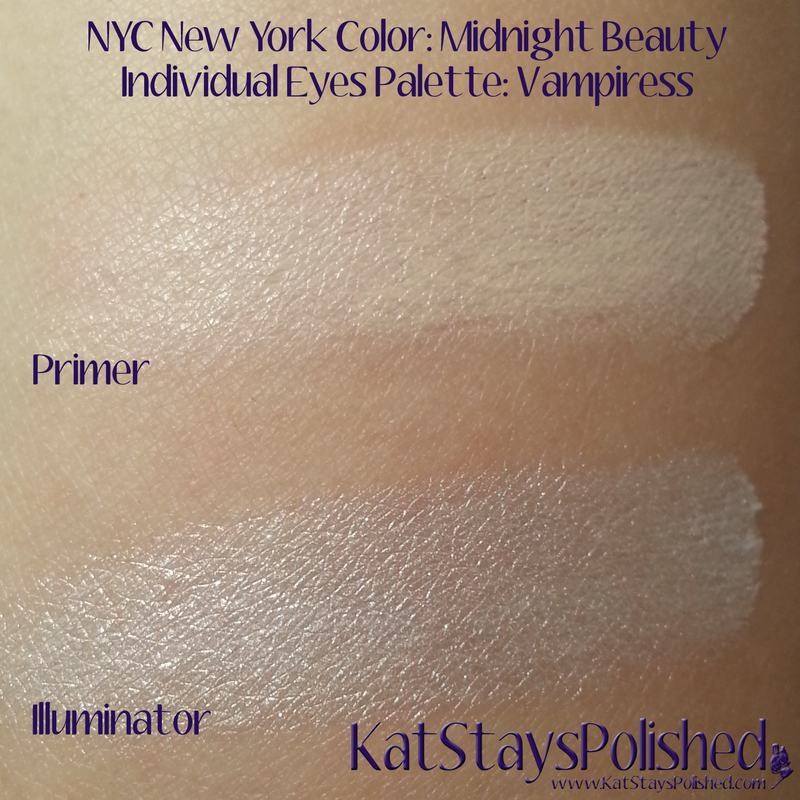 The pigmentation is pretty great too and for just $4.99, it feels like a complete steal! 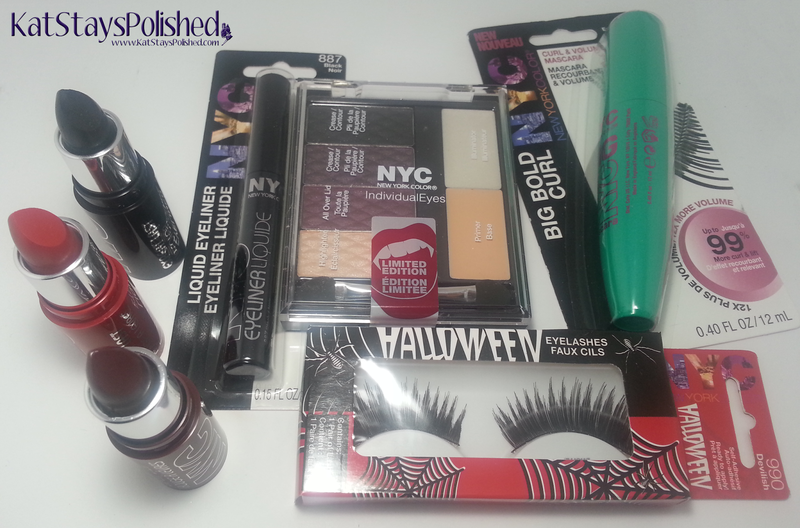 Would you use all of these for your Halloween look? Keep an eye out on my social media for possible posts containing a look using all of this. Share your looks with me for Halloween by tagging me on social media! That eyeshadow palette is nice!